Mommy, singer and actress, Jennifer Hudson gets some back-up from her adorable son David, 1. 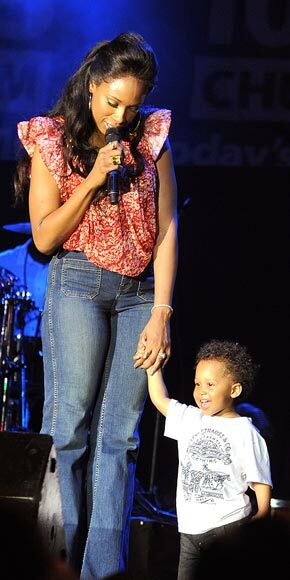 Hudson brought her son on stage during a concert in Barbados April 10. Judging from the smile on David's face, he has no signs of stage fright!